Landscape Installation - What is a Landscape Installation? What is a Landscape Installation? 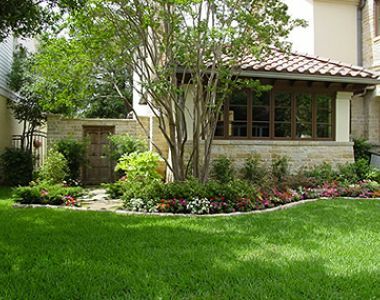 A landscape installation on your property is much like adding an addition to your home - only on the outside. Landscape installations are designed to accent the exterior of the home much like paint or other decorative elements such a brick or siding. Many benefits arise from a landscape installation such as increasing the value of your home (by as much as 20%), improving your home’s curb appeal, and preventing foundational soil erosion. Most landscape installations involve adding or creating new landscape plantings around the foundation of the home or other areas of the landscape. Landscape installation services typically include bed preparation, ornamental plantings including annuals and perennials, shrubs, and sometimes, specimen trees, such as Japanese Maples or Hollies. New installations typically take place in the spring, early summer, or fall. Prior to planting, many landscapers work the existing soil with amendments such as compost, expanded shale, and sand to improve drainage, pH values, and soil condition. Once the soil has been prepared, plant material is installed, and then top-dressed with hardwood mulch for weed suppression, moisture conservation, and the prevention of soil erosion. Pest-control/prevention treatments may also be included. Some installations include hardscape materials such as landscape boulders, special mulches, statuary, or a water feature such as a fountain or dry riverbed. Pricing for new installation plantings can be as little as $50 to as much as $10,000 or more depending on the style and complexity of the installation. 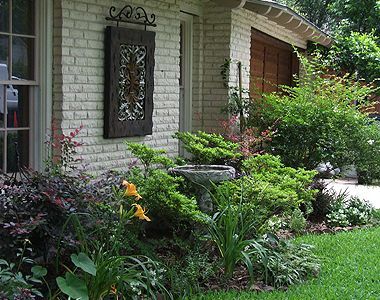 Some landscapes may require extra maintenance such as unique fertilization needs, supplemental watering, dead-heading or extra pruning. Consider what type of installation best suits you and your family’s lifestyle. Inform the landscaper at the beginning of your project if you prefer organic products and practices used in your installation, as opposed to man-made chemical fertilizers. If your installation has to be completed by a specific date so as to coincide with a special event such as a wedding or graduation, start planning your project and interviewing contractors no later than two to three months in advance. Check out landscaper project profiles on YardHookup.com, books, and magazines for landscape installation ideas, styles, and pricing. Save time and money by having a landscape likes/dislikes list or sketch of what you have in mind prior to your consultation. Note that some contractors and designers charge extra for consultations and formal design work. Request and check all contractor references. Comprehend all aspects of any landscape contract before you sign. Also, become familiar with the warranties on plant materials. Request a post-installation maintenance schedule for your new planting and ask if any maintenance is included in the project price.